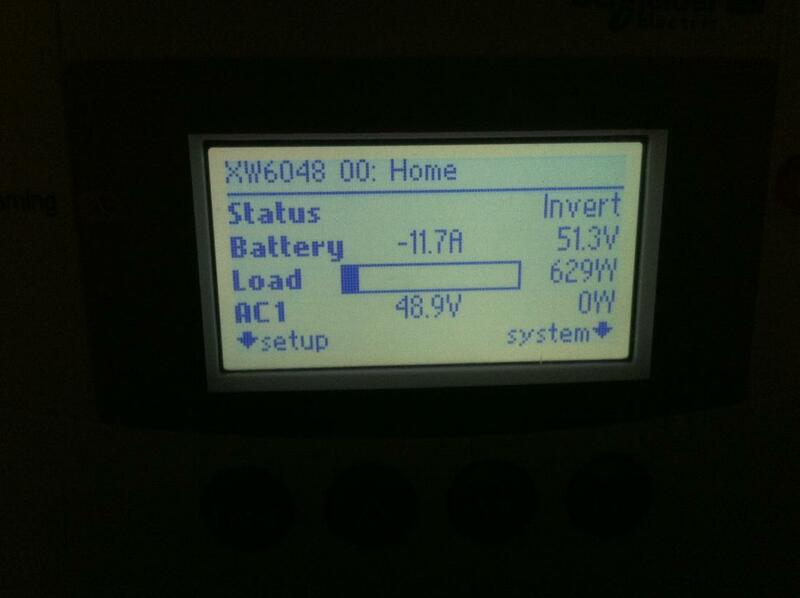 48.9v ?? Attachment not found. Check the neutral and earth ground at the Inverter and see if you get that on a dvm. Did you try to measure what it really is at AC1 terminals? I had a guy once that had a charger hooked up and some how it would back drive to a 2 way switch he had wired in a hallway and it would pass DC voltage back to the Inverter through the neutral and ground if it was plugged in. Gremlins !! With ac grid breaker on I got 3v between neutral and earth ..
With ac grid breaker off I got 100v between neutral and earth.. I don't have batteries negative conected to earth.. Apparently, your neutral is not connected to the ground, or it couldn't be 100V in there. But also, I guess the XW neutral is not connected to the grid neutral.